Karina's Kreations: Stampin'Up Flower Fun Technique Card! Stampin'Up Flower Fun Technique Card! I wanted to share this cute card that I received at convention with you! I'm not sure who made it so as soon as artist emails me at kchin2@telus.net, I'll share their name with you. This card is brilliant because it uses an embossed Vellum technique. 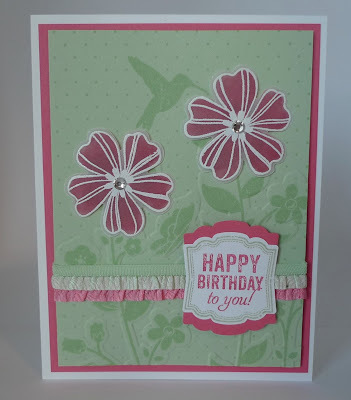 The flowers are embossed with White Stampin' emboss powder on White Vellum card stock. The back of the velum is colored with a Strawberry Slush Stampin' Write marker. 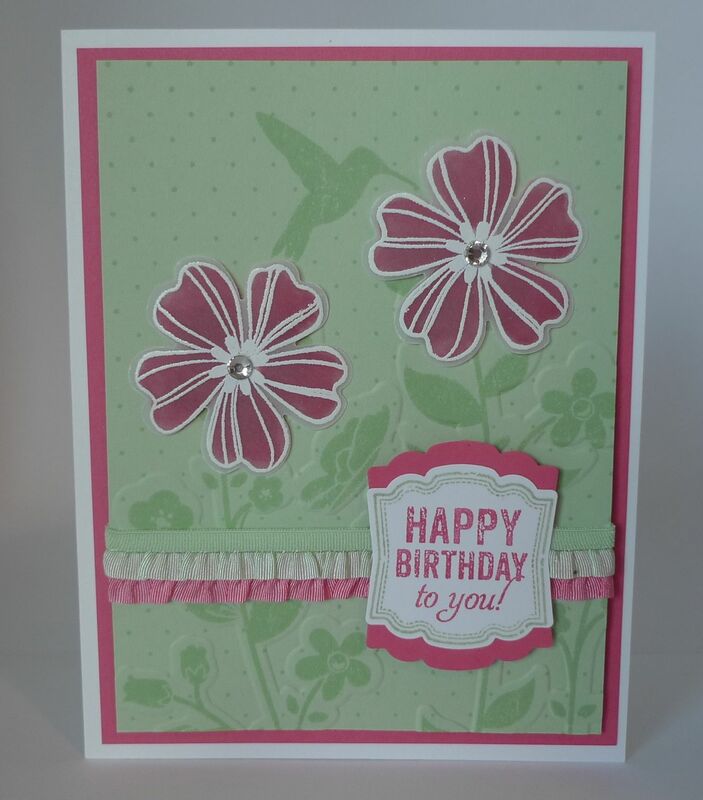 I love how two rows of the Ruffled Trim Ribbon were added to the card! If you don't have this ribbon I have one spot left in the ribbon share. It's only $14.00 and you'll get 2 yards in each of the five In-Colors! Come back tomorrow and I'll show you my version of the embossed vellum card! I am interested in your ribbon share.